Chop't salads just opened in the Wildwood Shopping Center on Old Georgetown Road in Bethesda, MD. They specialize in salads, after you choose which one you want off the menu (or build your own) they assemble it right in front of you, then spread it out and chop it up. This well-mixed salad is what goes into your bowl. 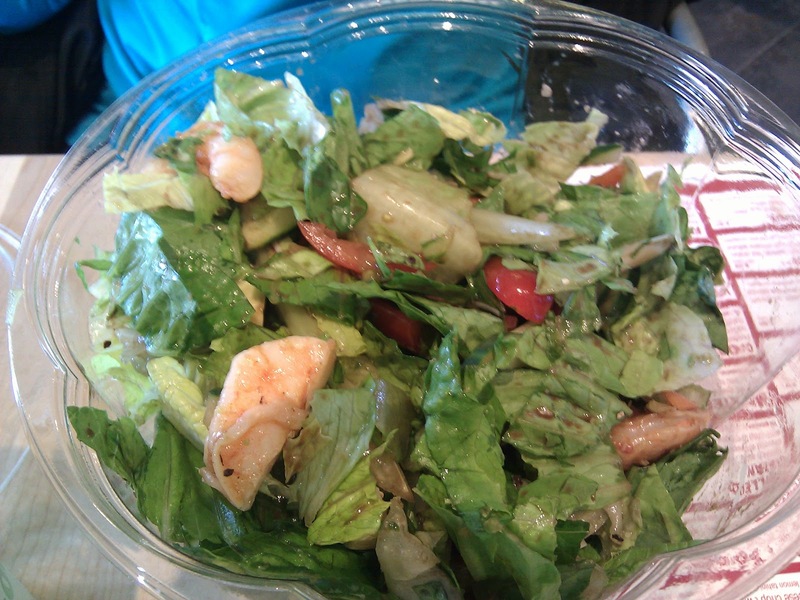 I went their on Wednesday, the opening day, and tried the Cobb salad [670 calories, $9.49] (and the person I went with got the Palm Beach Shrimp salad [240 calories, $9.99] so I got to try that too). Both were quite good, the bacon on the cobb was cut into very small pieces, but was thick and crisp. 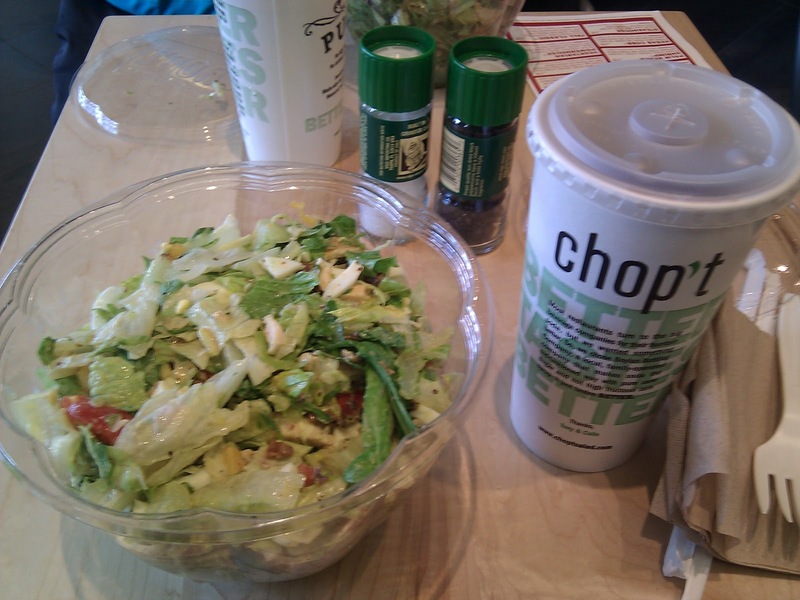 There were some things that stood out in comparison to other salad chains. The first thing that I noticed was that the salads on the menu didn't all have sweet stuff in them. I don't really like sweet salad toppings, so this is appreciated. They also have a large selection of salad dressings, with calorie counts. They also ask you if you want the dressing put on light, regular, or heavy so you don't end up with a salad swimming in dressing if you don't want it. They have some unusual seasonal salads that are only on the menu for a short time, right now there is some sort of thanksgiving dinner salad and several others. Too bad they have a stupid flash website instead of a real one.